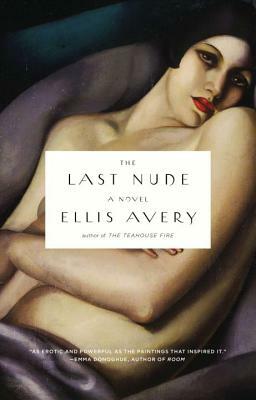 Ellis Avery’s first novel, The Teahouse Fire, set in the tea ceremony world of nineteenth-century Japan, has been translated into five languages and has won three awards, including the American Library Association Stonewall Award. Avery is also the author of The Smoke Week, an award-winning 9/11 memoir. She teaches fiction writing at Columbia University and lives in New York City. Do you think Rafaela made the right decision in eluding her grandmother and going to Paris? How does Tamara change Rafaela’s life? How does Rafaela change after they first meet? After she finds out the truth about Tamara’s intentions? How do Gin and Rafaela’s relationships (with Daniel and Tamara) mirror each other? What kind of an artist is Tamara? Rafaela? Anson? How does each character (Rafaela, Tamara, Anson, Gin) support him or herself? To what extent do Rafaela and Tamara’s means of financial support affect the choices they make? Has Tamara changed in the second half of the novel? If yes, how? Which woman needs the other more? Why? Does this change over the course of the novel? The paintings that appear in this book serve different functions. How do you think Tamara’s Duchesse de la Salle portrait, La Belle Rafaela, and The Dream serve the story? How does Vermeer’s The Lacemaker serve it? The last line in the book is “This time, I have painted your eyes open.” What is Tamara trying to say? How did you respond to this ending? How does Rafaela’s relationship to Anson evolve over the course of the novel? Did your view of him change at all?